An exquisite attention to detail, this is the hallmark of Soher. 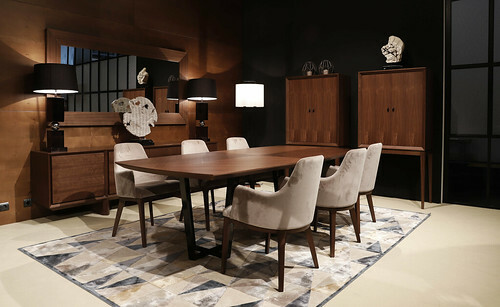 Since Vicente Iborra Simo founded the company in 1942, imposing his love for art, Soher offers unique creations of luxury furniture and high end decorative pieces. The Soher creative team develops designs which combine the best of artistic tradition with cutting-edge trends in interior design and decoration, creating unique and exclusive environments for our customers. Elegance, authenticity and glamour are a matter of principles for Soher, and have always guided our development as a brand. A philosophy of luxury understood as exclusivity, a form of attention to detail and a completely customized service to the customer.